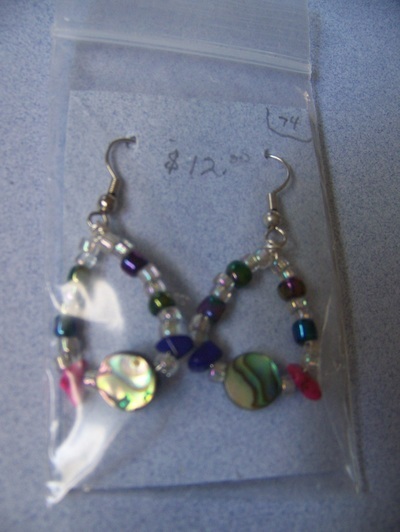 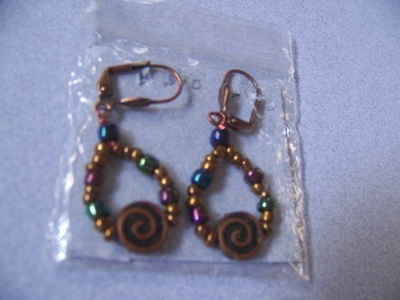 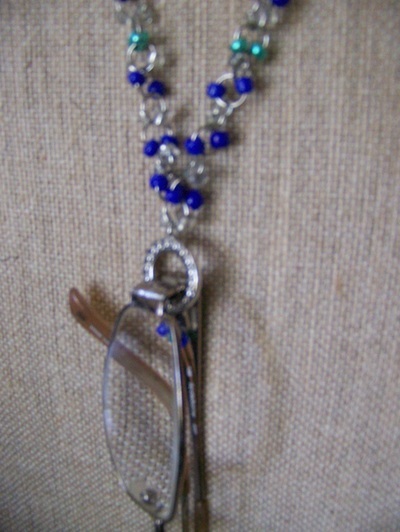 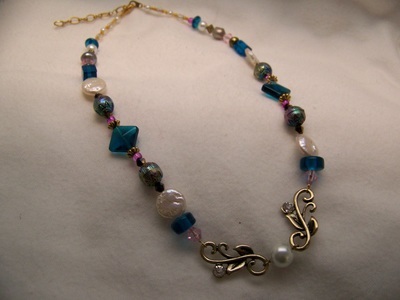 Do you wear a piece of jewelry because you love its looks & makes you feel beautiful, not for its priceless components? 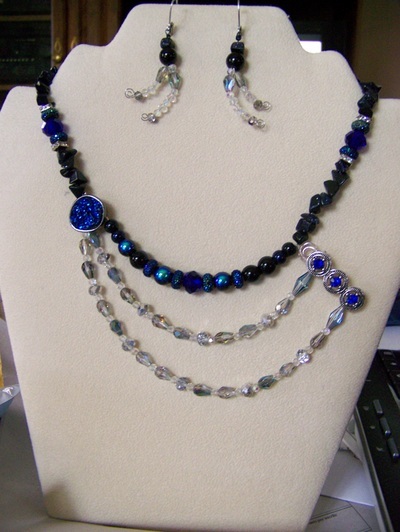 OR, do you purchase jewelry because it looks great with your outfit, not because everyone's buying one? 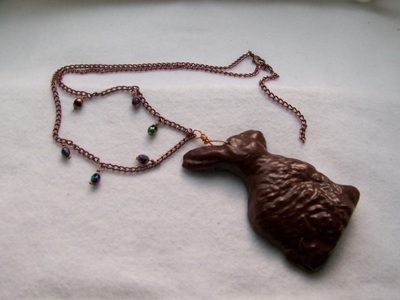 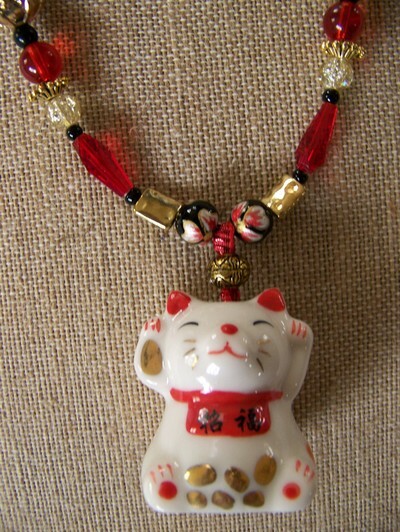 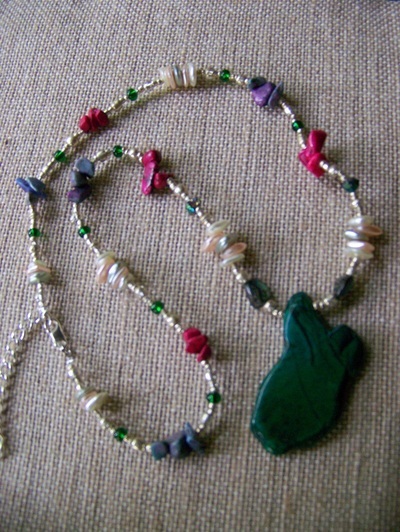 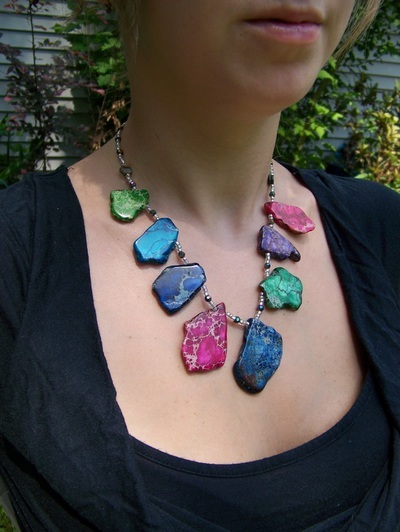 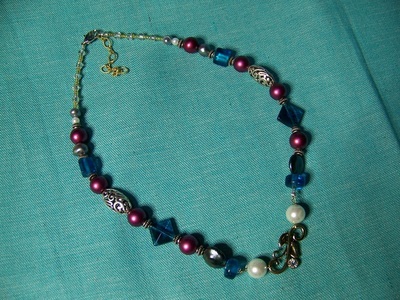 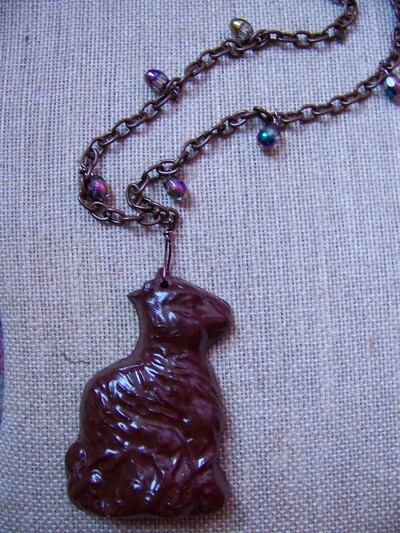 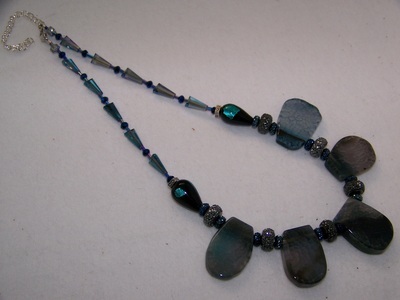 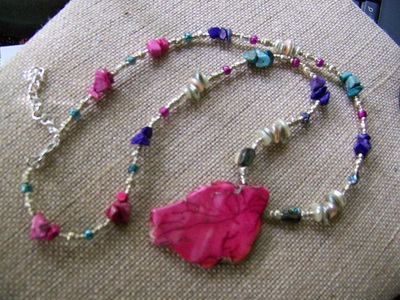 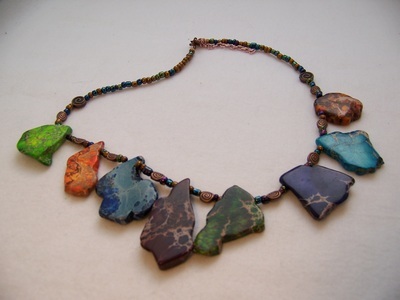 After enduring a sea of sameness or really pricey stones, I began crafting my own necklaces. 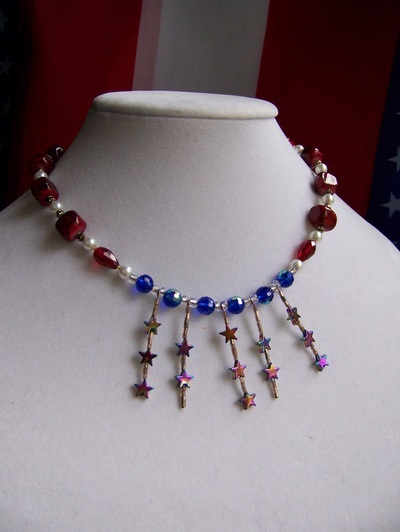 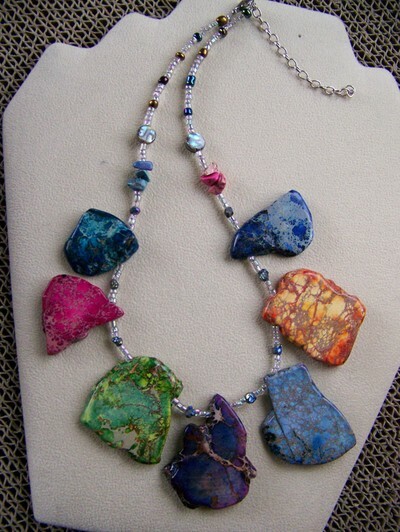 Each necklace, original, complex, & unique, was designed and hand assembled by me. 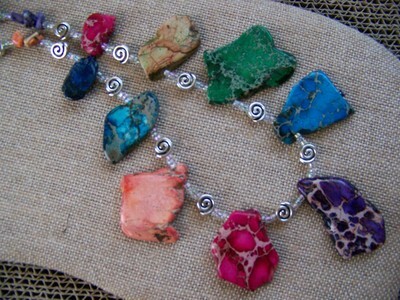 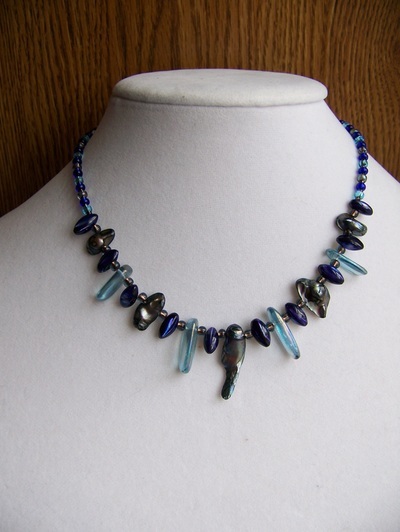 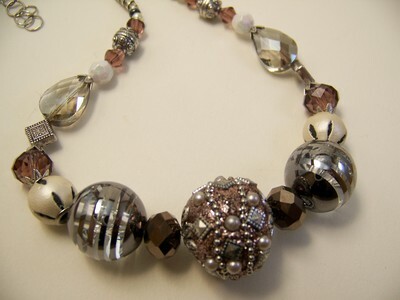 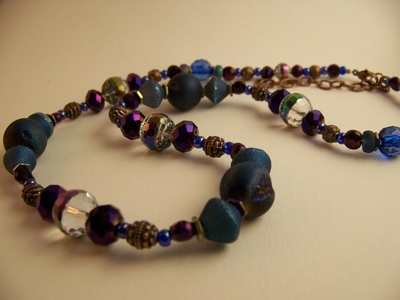 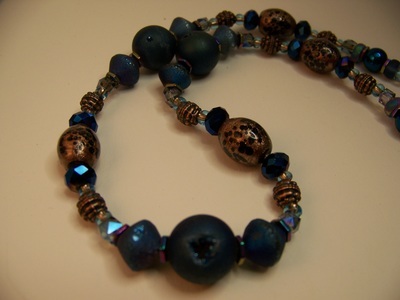 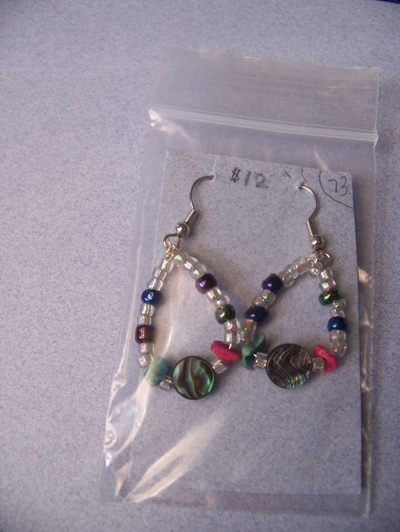 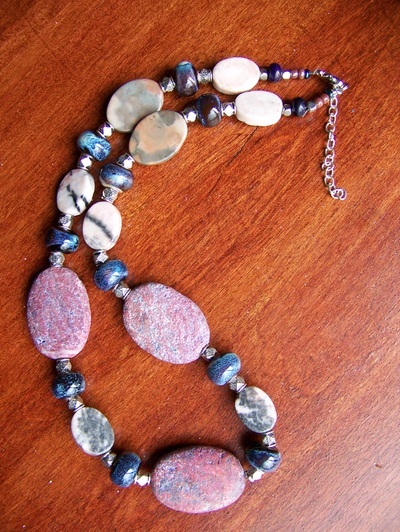 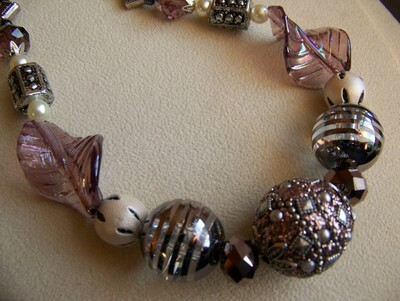 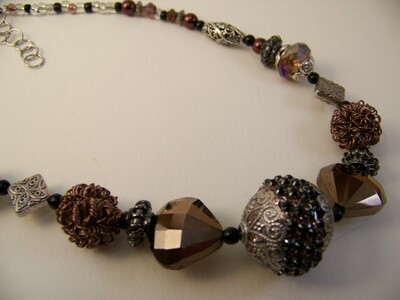 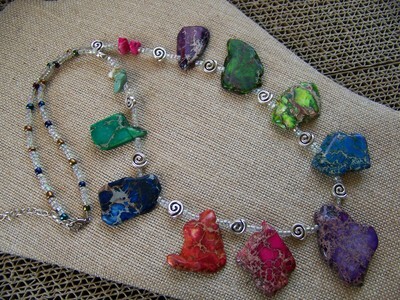 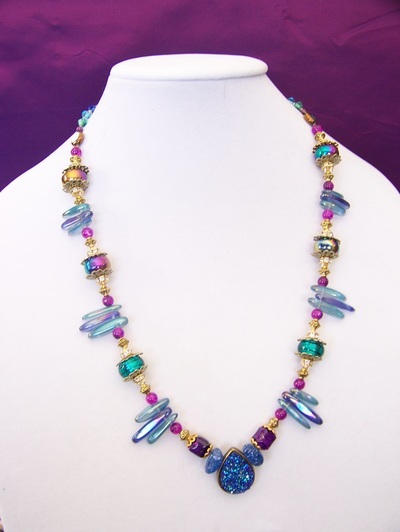 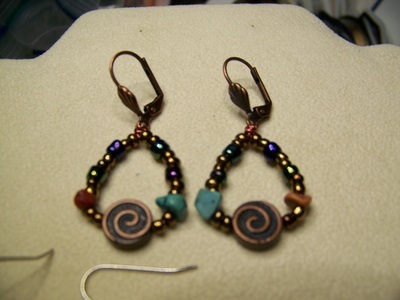 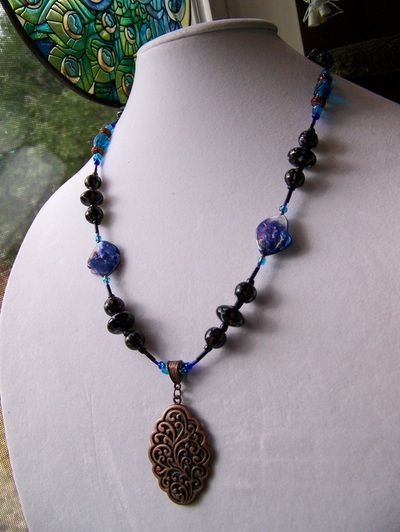 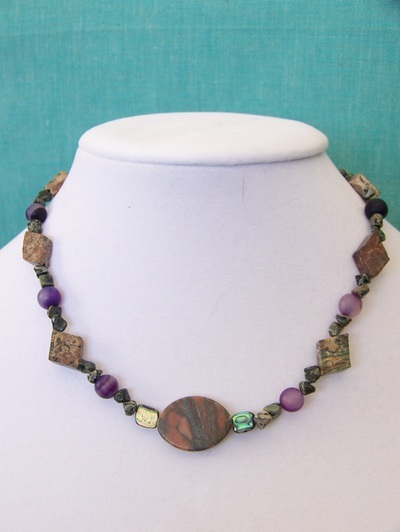 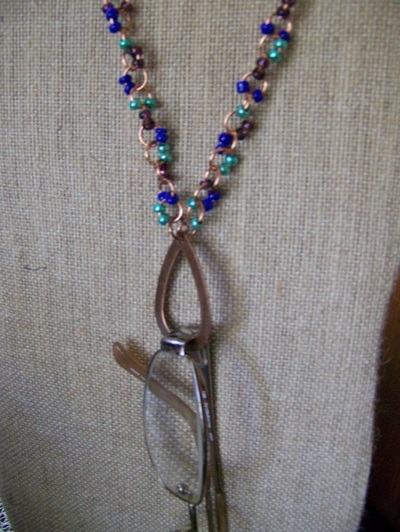 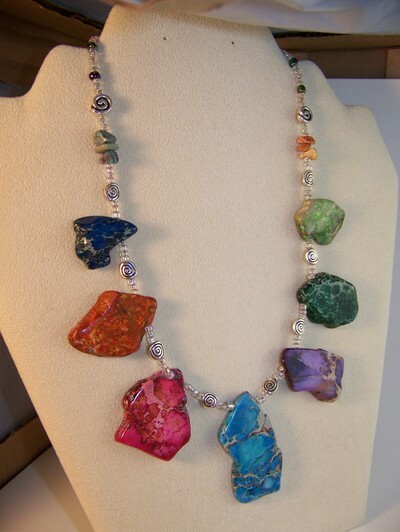 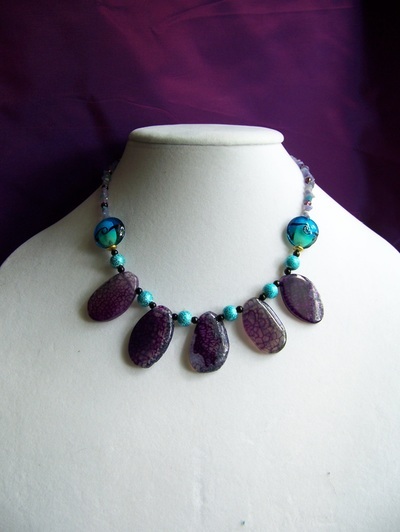 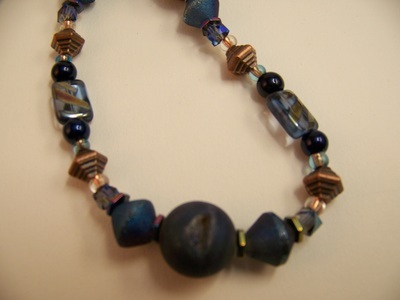 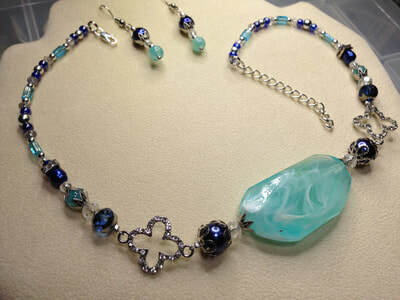 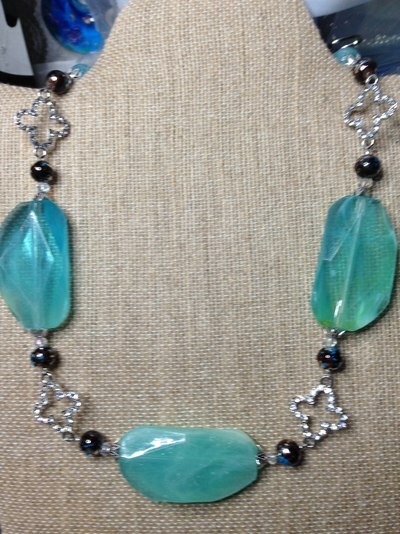 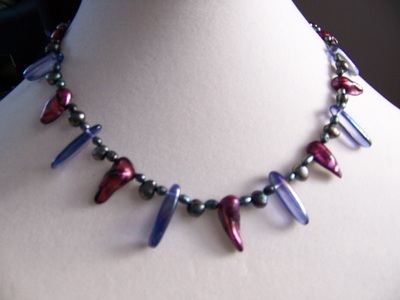 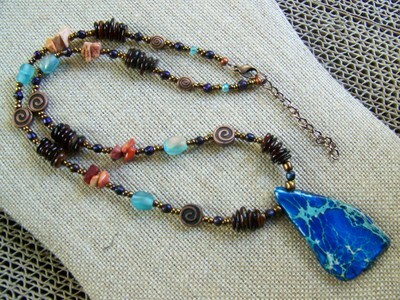 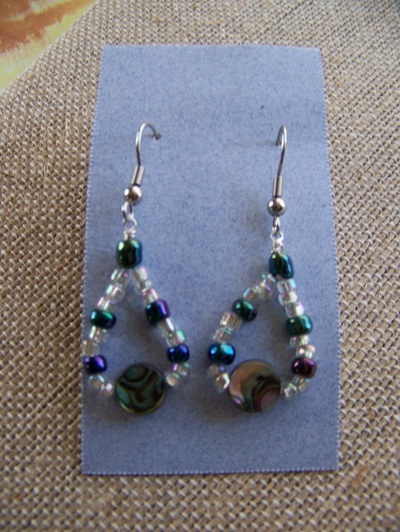 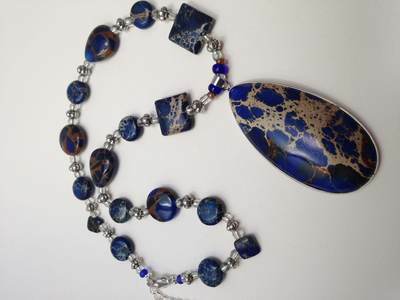 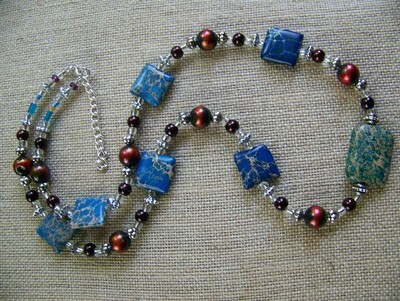 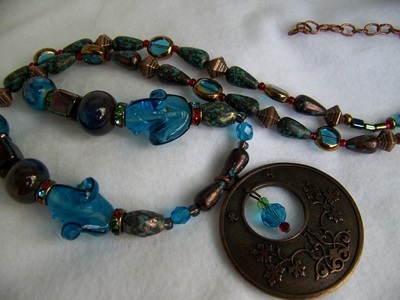 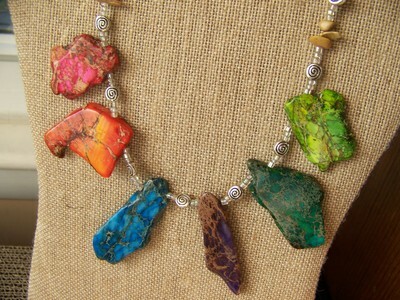 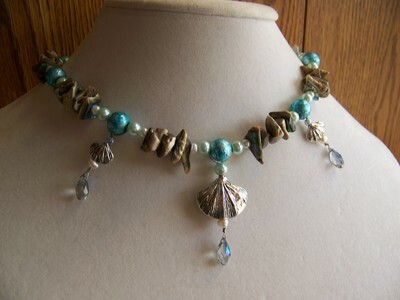 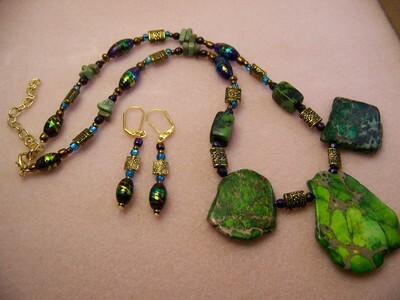 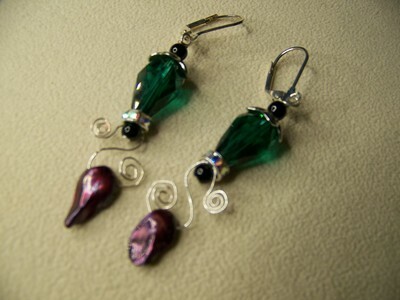 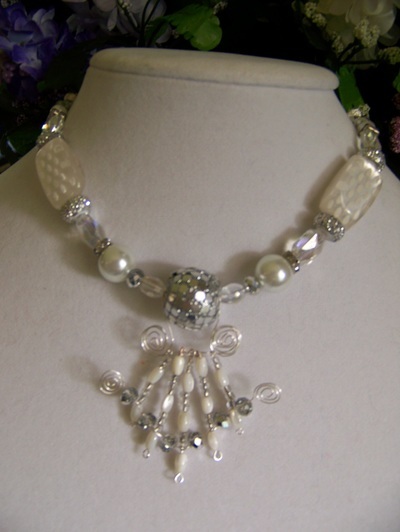 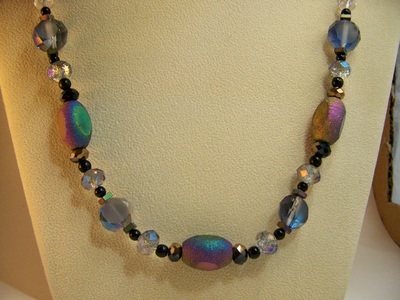 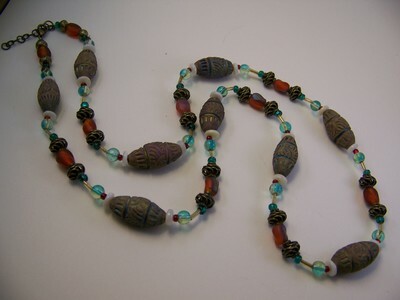 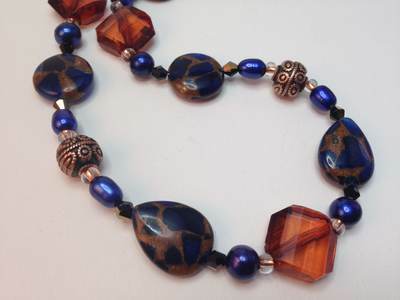 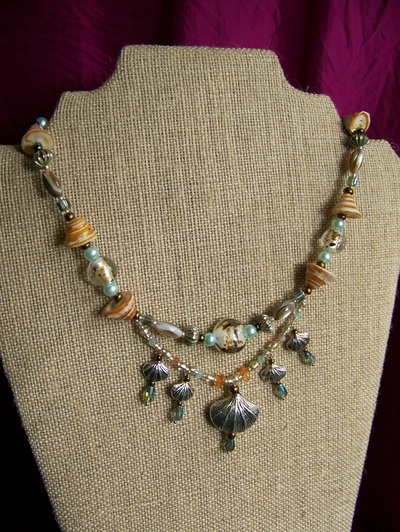 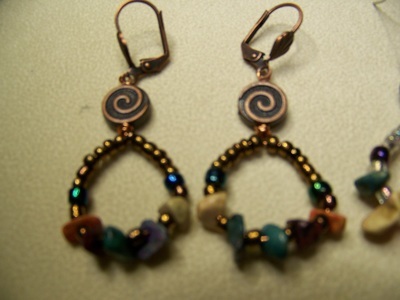 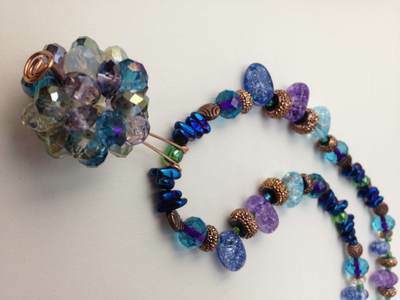 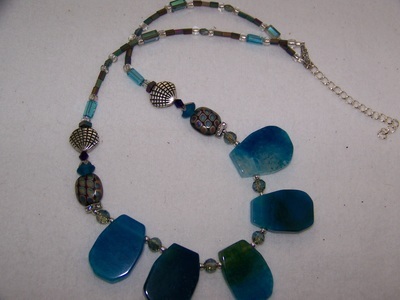 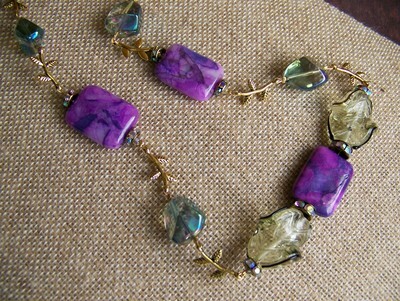 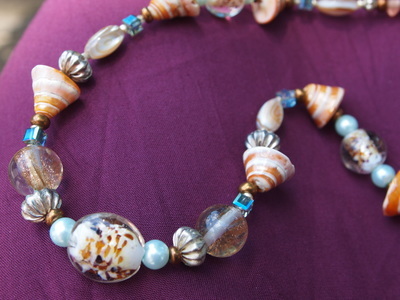 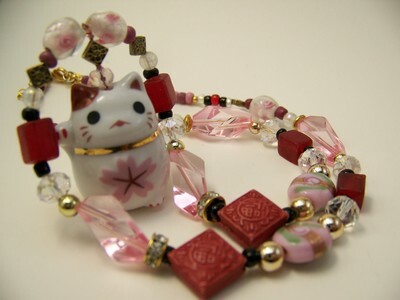 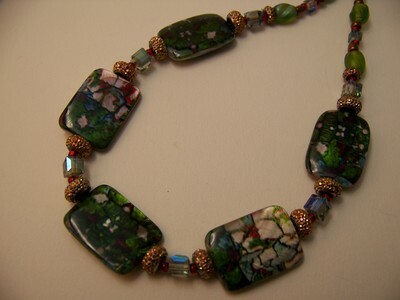 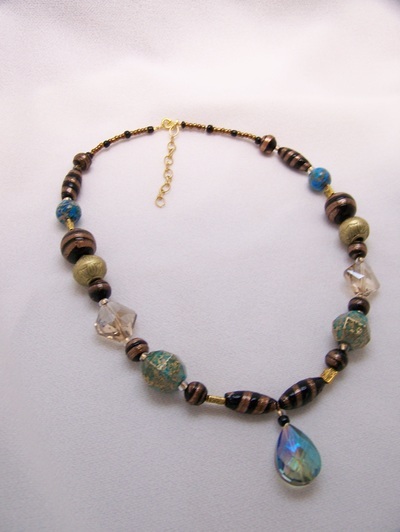 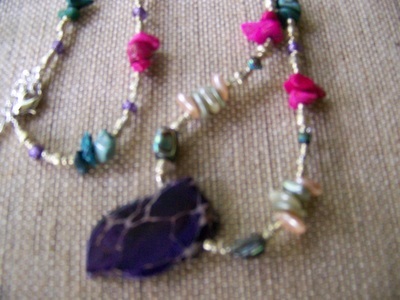 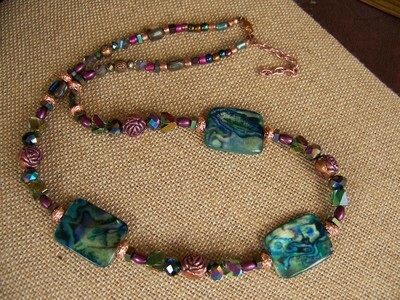 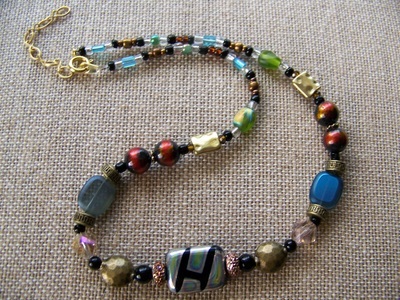 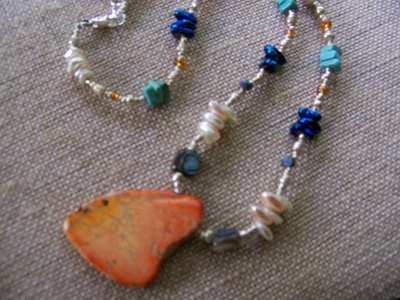 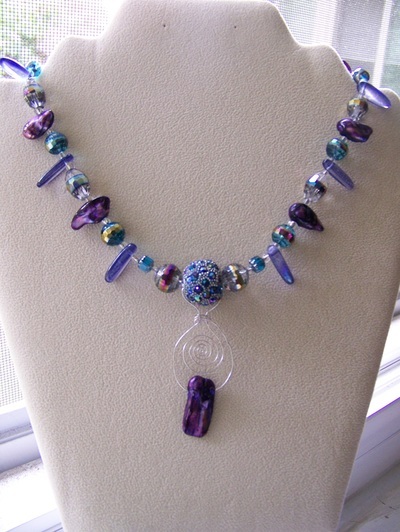 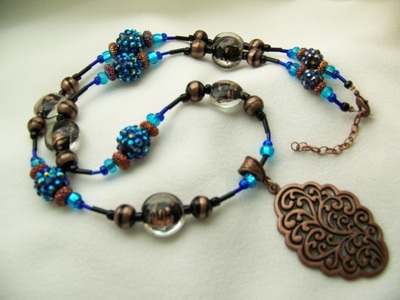 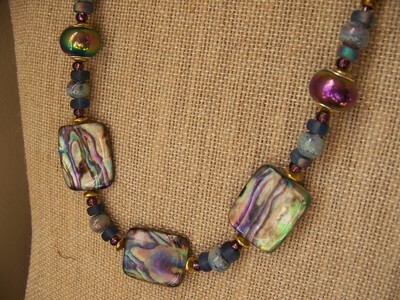 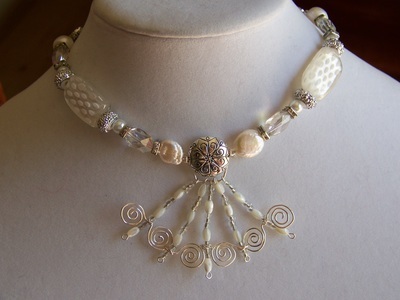 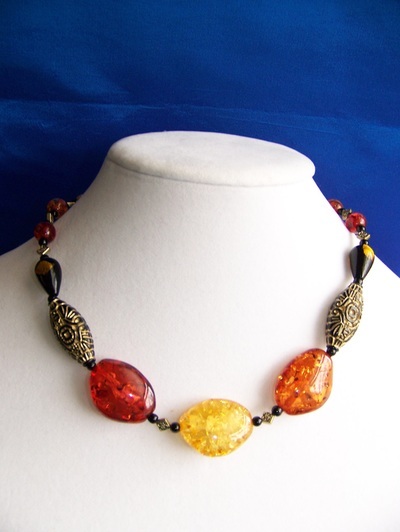 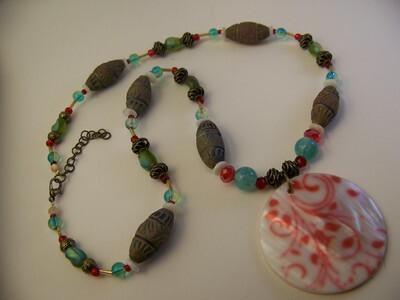 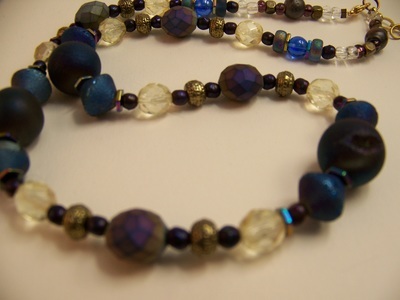 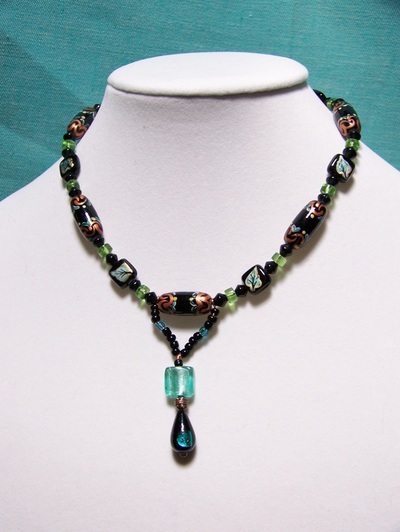 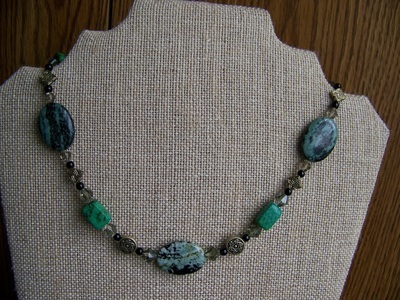 Starting with an element to feature, I choose additional beads to compliment & enhance without overpowering. 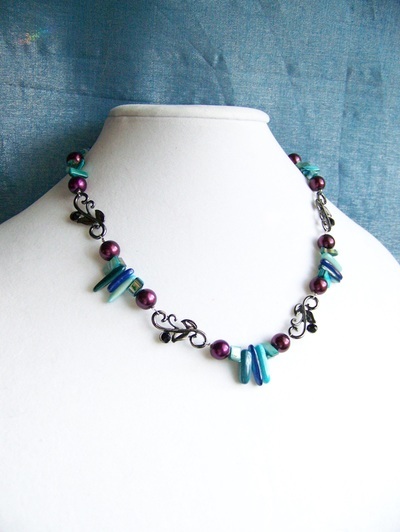 I strive to make compositions that are pleasing, both texturally & chromatically. 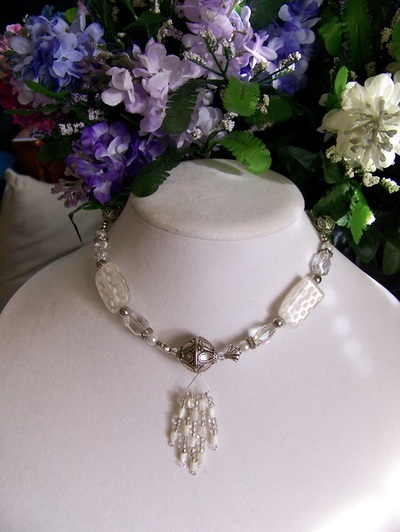 Clicking on a picture will send you directly to the item on Etsy for all the details . 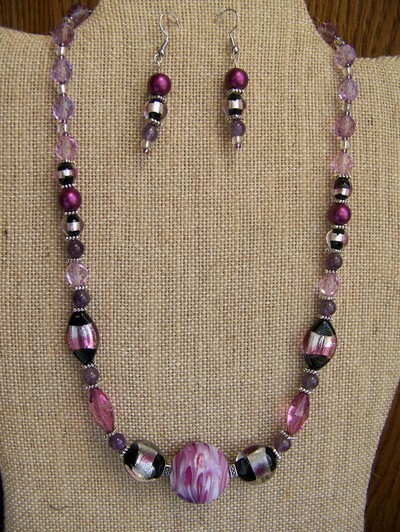 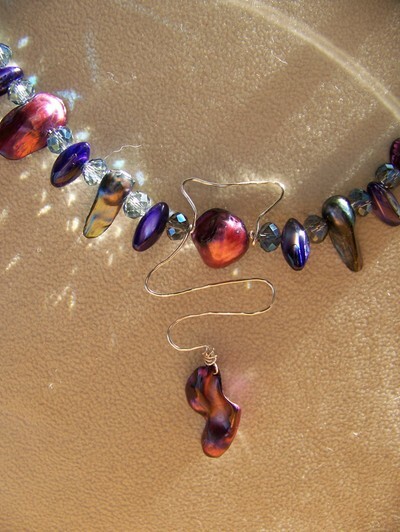 Purple Freshwater Pearl pendant necklace & earring set silver crystal glass color sparkles wire work 16"